Social media. If you are like me, you thought this was just a trend back in the days of MySpace. Then came Facebook and the world changed! For the small business owner over the age of 30, social media, as a marketing platform, can be quite intimidating. There are many different sites to choose from, each with a different audience, and each with a different intention. Which do you choose? Facebook has an estimated 1.1 billion (yes, I said billion) unique monthly visitors. This is by far your most important social media platform at this point in time. Not only does your business need a Facebook page, but it must be active and engaging! The more active you are, the more likes and shares you’ll get, and the more Facebook will show your posts. Just to have a page, won’t help you at all. Although it has only 310 million unique monthly visitors, Twitter is the second most popular social media platform on the web. But, unless you can say what you want to say in under 140 characters (and spaces count! ), it isn’t always going to be the best platform for your business. I am not saying to abandon Twitter for your marketing purposes. I am saying to use Twitter in a supporting role. Coming in the third spot with 255 million monthly visitors, LinkedIn is the best tool for B2B networking and marketing. However, engaging on LinkedIn beyond making networking connections can be tough. You will need to publish articles on LinkedIn specific to your business goals, in order to draw people to your profile. With just 5 million less monthly visitors than Twitter, at 250 million, Pinterest could potentially help your business. However, Pinterest is a very visual platform. It isn’t the best platform for all types of business. For example, if you are an accounting firm, Pinterest is probably not your best option. But for interior designers or a clothing company, a lot of effort should be put into Pinterest. Now, you may be asking yourself about Google+ at this time. You might’ve noticed the Google+ icon on other business sites and feel the need to post there as well. Google+ was next on the list, but with less than half of the unique visitors of Pinterest, it seems to be a platform that isn’t gaining traction. Given limited time and resources for most businesses, stick to the top three or four! For any business, marketing is important! And social media is one of the most effective ways to market to your audience. You may wonder what the purpose is of marketing through social media platforms. 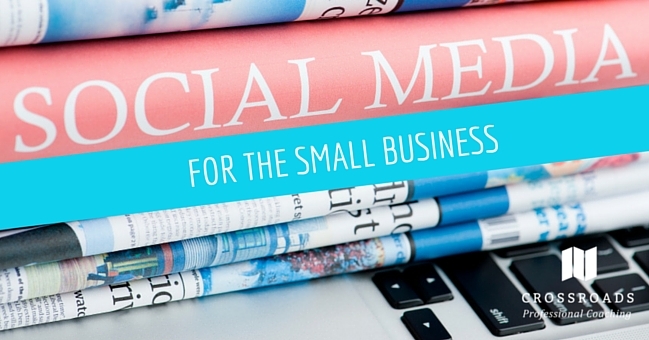 Social media for businesses serves three crucial purposes. Communication: Social media allows you to directly communicate to your current and potential customers. Not only can it expand your reach, but it also allows you to answer questions, interact in real time, track what people are saying about your business, and get the message you want to give to your audience. Exposure: The effective use of these platforms can increase your brand awareness tenfold. Branding can be done by customizing your profiles, adding video, creating insightful posts, etc. Your target audience is able to see the necessary information about your company. Traffic: Social media can significantly drive traffic to your website. We don’t own what content a user on social media sees. But we do own the content on our own website. Including links back to content on your site can significantly increase your traffic and allows you to control the conversation with your audience. It is not an exaggeration to say that social media is not going anywhere. So, as small business owners, we need to make sure we are doing it right. And the key to staying competitive in this realm is to identify your needs for social media marketing, choose the right platforms to broadcast your message, and then broadcast the right message. If you are still overwhelmed with the choices, there are professional companies that manage your digital marketing needs by curating and creating your social media content, while at the same time posting your content and analyzing your results. Crossroads Professional Services, for one, offers this type of service through one of our social media marketing experts. If you have questions or want to talk about your social media management, just email me at: [email protected].